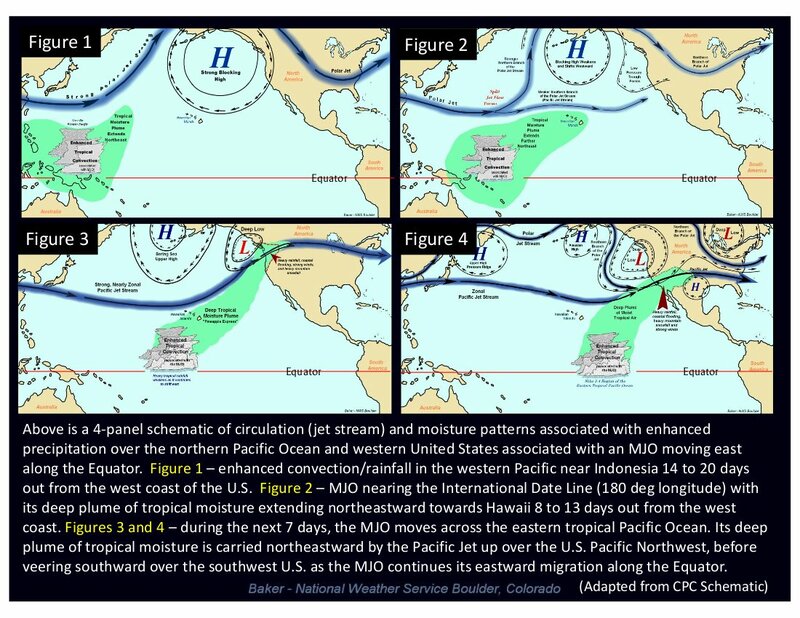 Their analysis reveals that while the Madden-Julian Oscillation’s precipitation variations are likely to increase in intensity under a warmer climate, wind variations are likely to increase at a slower rate, or even decrease. That’s in contrast to the conventional wisdom of a warming climate producing a more intense Madden-Julian Oscillation, and thus an across-the-board increase in extreme weather. According to Maloney’s work, the Madden-Julian Oscillation’s impact on remote areas may gradually decrease. Degradation in the oscillation’s wind signal may thus diminish meteorologists’ ability to predict extreme weather events. In particular, preferential warming of the upper troposphere in a future, warmer climate is expected to reduce the strength of the Madden-Julian Oscillation circulation. Co-authors of the Nature Climate Change study are Ángel Adames of the University of Michigan and Hien Bui, a CSU atmospheric science postdoctoral researcher.